I've linked my JotForm account to Asana. Text field integrate great, no problem. 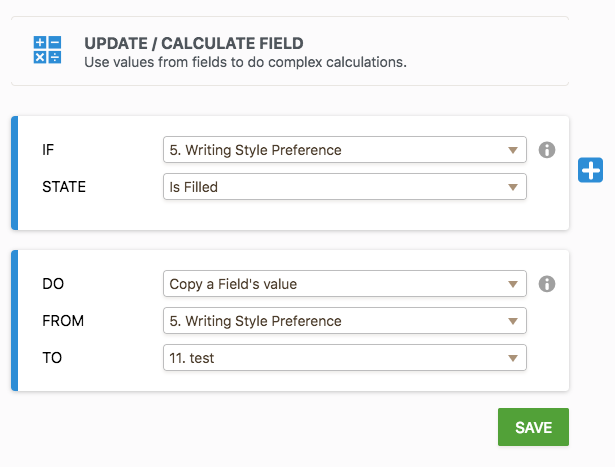 The issue is when I create a multiple choice field in JotForm it doesn't transfer to Asana, those fields always show up as blank. I tried mapping the JotForm Multiple Choice question to both a text field and multiple choice field in Asana... neither worked. I integrated clone of your form with Asana. It seems multiple choice fields is not supported right now. I am escalating this feature request to our developers. Please note that we cannot offer you any timeframe whether this will be implemented. - Add a short text entry field to your form and hide this field. - Set a condition that copies the multiple field's value to a short text entry field. - Then, you can set the short text entry field as task notes while matching your fields. We will let you know via this thread once we have any updates on the multiple choice field. Thank you for your understanding.